One of the limiting factors of Google Glass so far, has been its inability to work with people that require corrective lenses. 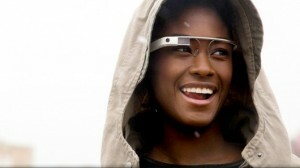 Luckily, Google has been working with eyeglass partners and with an official Google Glass release date expected in 2014, prescription lenses may finally be coming for the device. Within two weeks, current reports are stating that Rochester Optical will come out with the first set of Google Glass prescription lenses and they will be offered for as little as $99. Even though Google has worked with eyewear companies in order to try and come out with official lenses for its wearable tech device, the company has not actually partnered with Rochester Optical. VSP Global, another eyewear company, is said to have been working with Google to come out with an official line of prescription lenses for Google Glass sometime in early 2014 but Rochester Optical may be coming out with its own line prior to any product that comes from that partnership. Unlike the current Glass setup, people that use these corrective lenses will be able to have a choice of color and style instead of being stuck with whatever they get from Google. Among Rochester Optical’s color options are pink, purple, yellow, or custom finishes. Details have been scarce, but the company is also planning on coming out with unique shapes for the lenses which will likely be connected to Glass with the built-in spring-loaded chip which currently holds the regular plastic shield in place. Pre-orders for the $99 Google Glass prescription lenses will start after CES 2014 and since that event ends on January 10, it is only a matter of days before Glass will be made open to more people as a result of the corrective lenses. It is possible that Rochester Optical will not be the only company to come out with prescription lenses for Google Glass in early 2014, but it will have a leg up on the competition with its affordable $99 price tag.